With the familiar “QuickClik™” system users can, within the “General” function set,. . choose Full Power (maximum Lumens): Low Power (up to 120 Lumens*: 2-Cell /. . 3-Cell); or Eco Mode - a super power saving mode that yields up to 25 Lumens*. . with greatly extended run-time.. . There are three additional function sets – Outdoor; Law Enforcement; and Military. . – each offering a different set of functions invoked in a different sequence,. . for quickest access to the functions the particular user prefers.. . 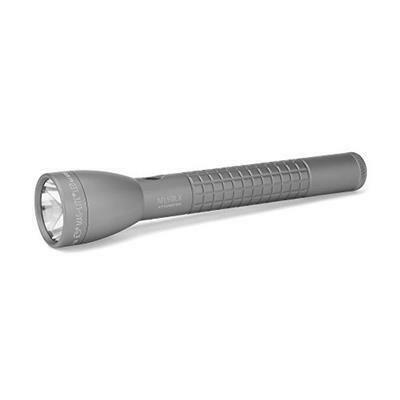 The IMPROVED, faster handling focus system now adjusts from spot to flood. . with less than ¼ turn of the head.. . Or if you prefer a flashlight with all the same technical and performance. . specifications and all the same functional possibilities but an Aggressive. . Knurled Design and a Stealth Matte Finish, you can choose the new Maglite®. . ML300LX™ model.